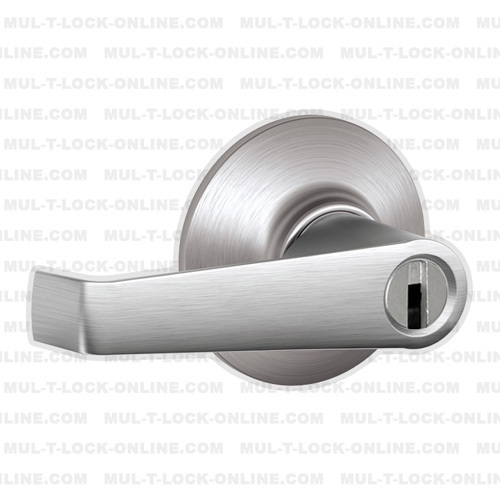 Entrance: Entrance or entry locks available with inside pushbutton locking, in which pushing the button locks the outside knob or lever until it is unlocked by key or by turning the inside knob or lever. 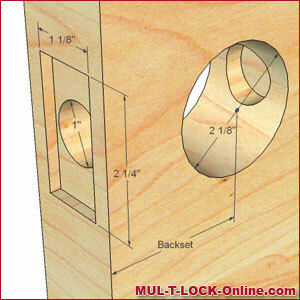 The inside knob or lever is always free for immediate exit. Storeroom: Storeroom locks (momentary) have a fixed outside knob or lever, and the latch is retracted by the key from the outside. The inside knob or lever is always free for immediate exit. Cylindrical locksets are designed to provide superior door protection with uncompromised key control. Each lever lockset is fitted with a MUL-T-LOCK key-in-knob cylinder and has ADA (America Disabilities Act) compliant design. Various functions available for just about any need.